The former Labour MEP’s current Ireland East constituency is being abolished. Nessa Childers is the daughter of former president Erskine Childers. INDEPENDENT MEP NESSA Childers has opted to run in Dublin in an effort to retain her seat in the European Parliament. The decision means that Childers will be challenging her former Labour Party colleague Emer Costello with three seats available in the capital. 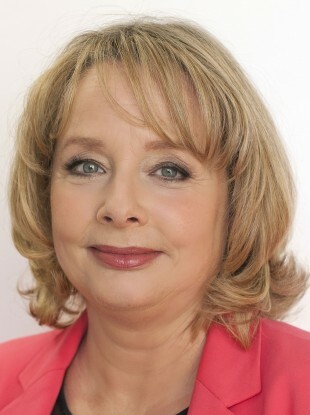 Having quit Labour last year and with the constituency of Ireland East abolished, Childers faced a choice between running in Dublin or in the expanded four-seat Ireland South, which included parts of her current base. Her decision to run in the capital is likely to pose challenge for Labour to retain the seat in a constituency where Fine Gael, whose favoured candidate Brian Hayes will announce later on Wednesday, is likely to take at least one seat. Fianna Fáil’s Mary Fitzpatrick, Sinn Féin’s Lynn Boylan, Labour’s Costello, the Socialist Party’s Paul Murphy, the Greens’ Eamon Ryan, and high-profile independents, possibly including Peter Mathews, will be battling it out for the other two seats. “Dublin needs a strong independent, who is prepared to challenge the old established party thinking,” Childers said in a statement announcing her candidacy. She said that her decision to run in Dublin was influenced by her previous experience as a Green Party councillor on Dún Laoghaire Rathdown County Council between 2004 and 2008. Childers cited the impact of sitting MEP Marian Harkin and previously Pat Cox as examples of independents providing effective representation. She said that one of the issues she will be campaigning on are “writing off the €34 billion bankers’ gambling debts debt unfairly foisted on citizens”. Email “Nessa Childers will run in Dublin in effort to retain European Parliament seat ”. Feedback on “Nessa Childers will run in Dublin in effort to retain European Parliament seat ”.